The Vitamix E310 helps you explore how easy it is to make healthy, whole-food recipes at home. 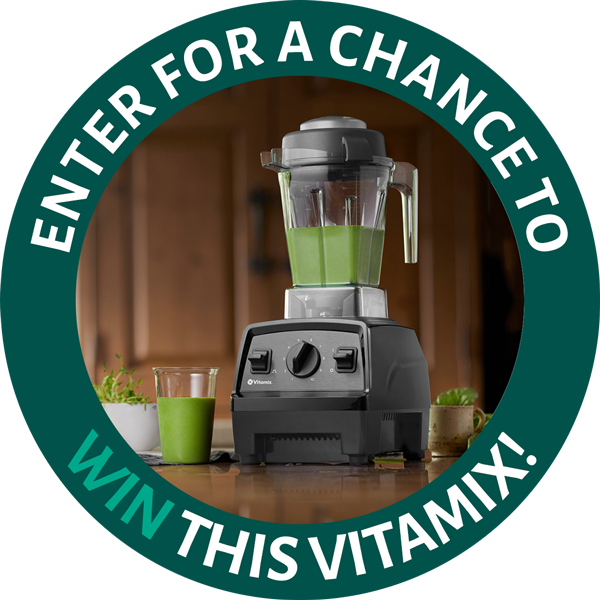 The 48-ounce container is ideal for blending delicious recipes from the accompanying Vitamix cookbook. Ten variable speeds that allow you to refine every texture with culinary precision, from the smoothest purées to the heartiest soups. By creating healthier schools, FoodCorps seeks to give every child—regardless of race, place, or class—the nourishment they need to thrive. Tomorrow, 30 million children will eat meal at school. Every single one of them deserves healthy food. FoodCorps partners with schools and communities across the country to connect kids to healthy food in schools through hands-on, interactive education in gardens, classrooms and cafeterias. A 2017 Columbia University study revealed that in schools implementing FoodCorps’ hands-on learning practices to a high degree, students eat triple the fruits and vegetables of their peers in other schools.